The Hurling and Camogie year came to an end on Saturday night last with our annual presentation night in the Sportlann. Chairman of the senior Club Tony Stakelum extended a warm welcome to the large numbers of parents and players who were there on the night and he also welcomed our Guests of Honour: The Five Castlebar members of the Mayo winning Nicky Rackard Cup and the cup itself also our four Camogie girls who played for and won all Ireland u14 Camogie medals with Mayo in 2016 they were presented with Trophies to mark their great achievement by new Camogie Chairman Edwin Quinn. Tony Stakelum thanked all the coaches who gave of their time during the year, and to the parents who also played their part in what was a great year for the club. Finally he thanked the players for the way they represented the club during the year whether at training or matches and said they were a credit to our club. 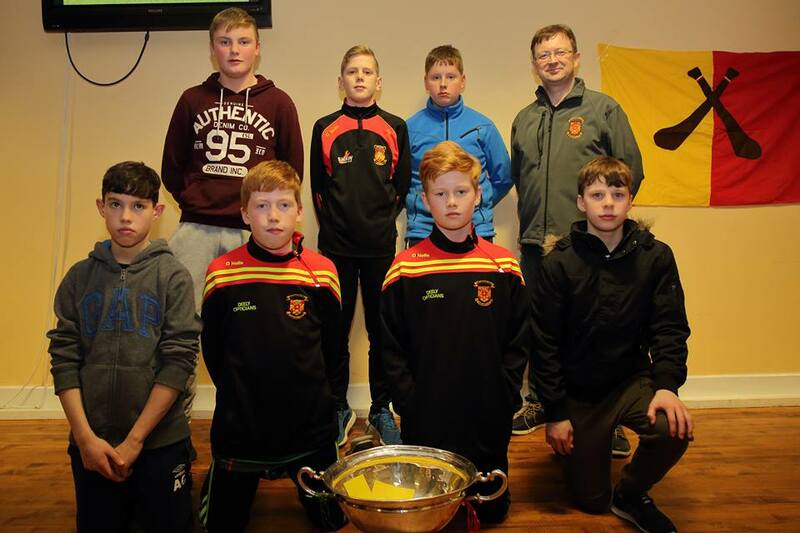 The various presentation took place for the different age groups with pride of place going to the our u12 and u13 boys teams who won county finals during the year. and finally to the Tristan Steele who won the prestigious Pete Finnertry Trophy for the most improved hurlers at u12 age group. 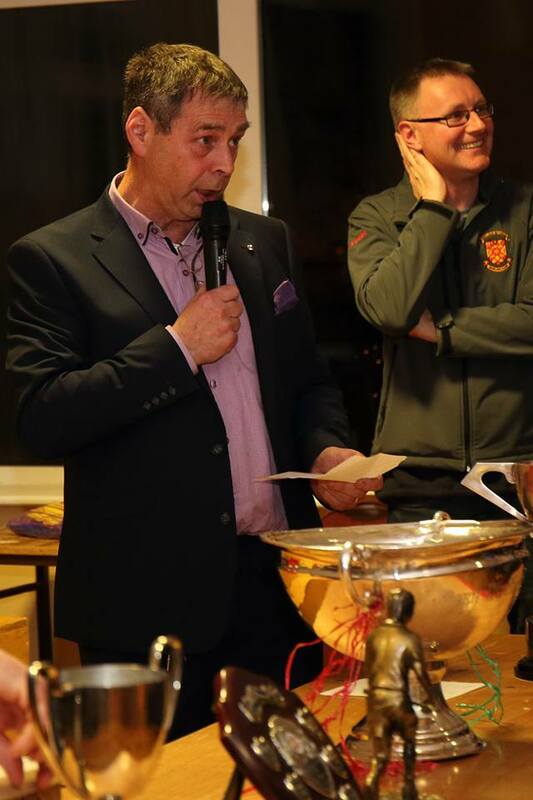 Our thanks to Tony Reilly and all the Sportlann Staff for providing the venue and the food, to John Lyons for the spot prizes, to Mary Murray for the photos and to Trish Heneghan for the Decorations. 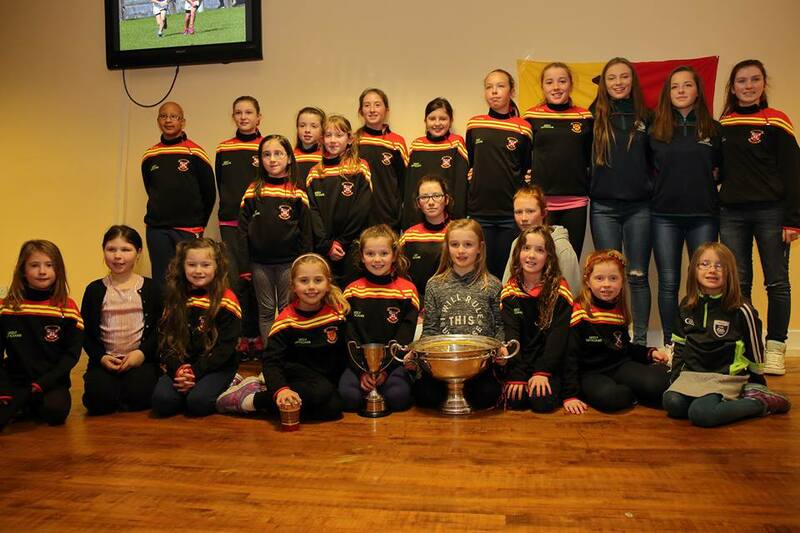 Camogie girls at 2016 presentation night and the Nicky Rackard Cup. 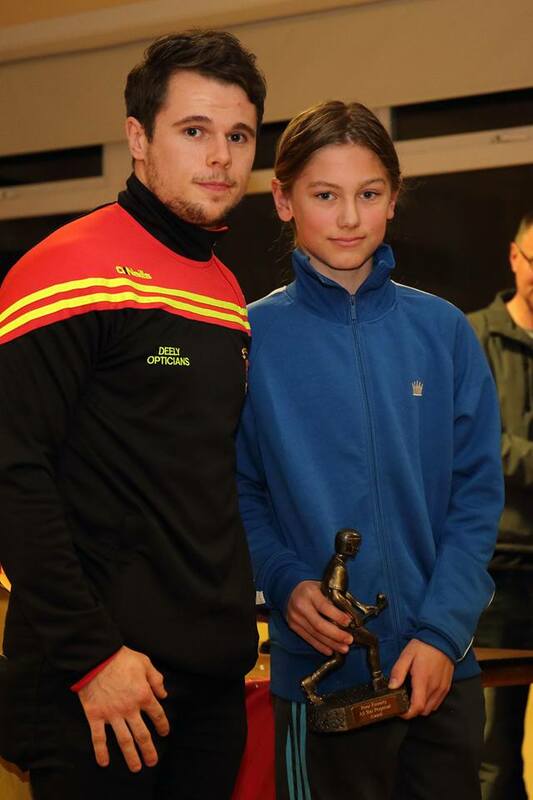 Tristan Steele been presented with the peter finnerty award for most improved hurler in 2016 by club captain Darren McTigue. 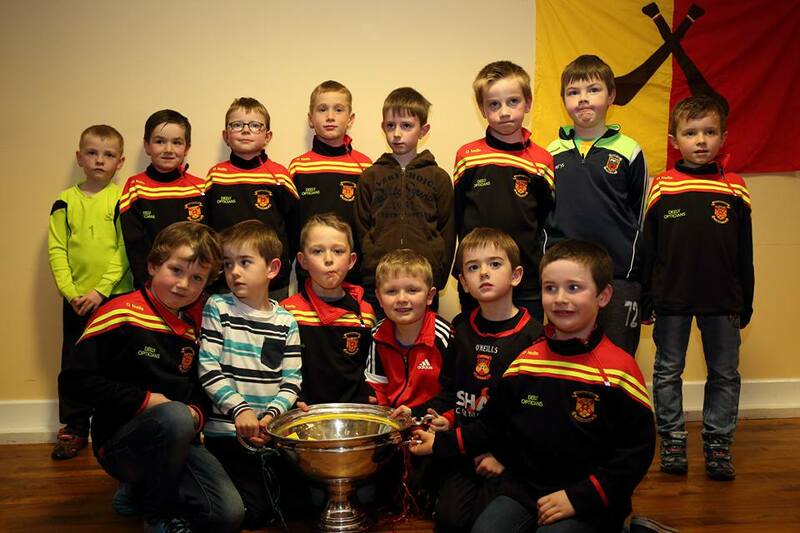 U8 hurlers with and the Nicky Rackard Cup at presentation night 2016. U12	John Lyons U12 hurling manager at presentation night 2016. U12 county champions coach Martin O Donnell and the Nicky Rackard Cup at presentation night 2016. 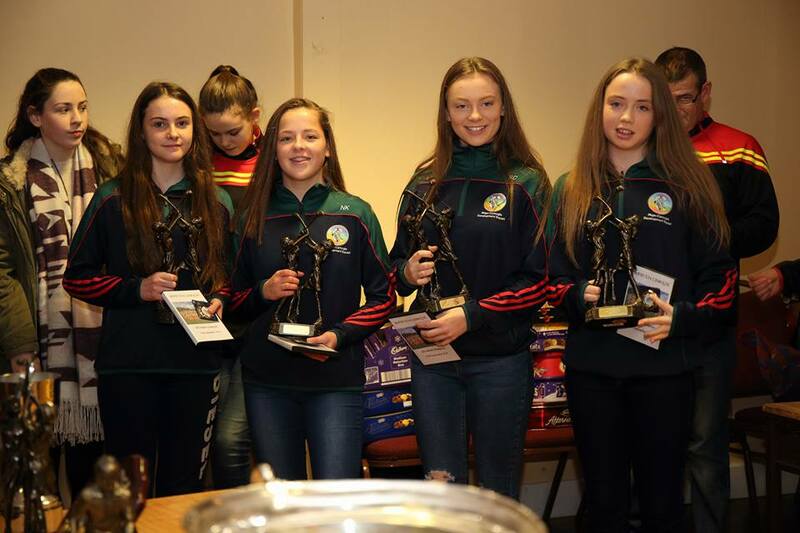 U14 camogie who won all ireland medals with Mayo in 2016. 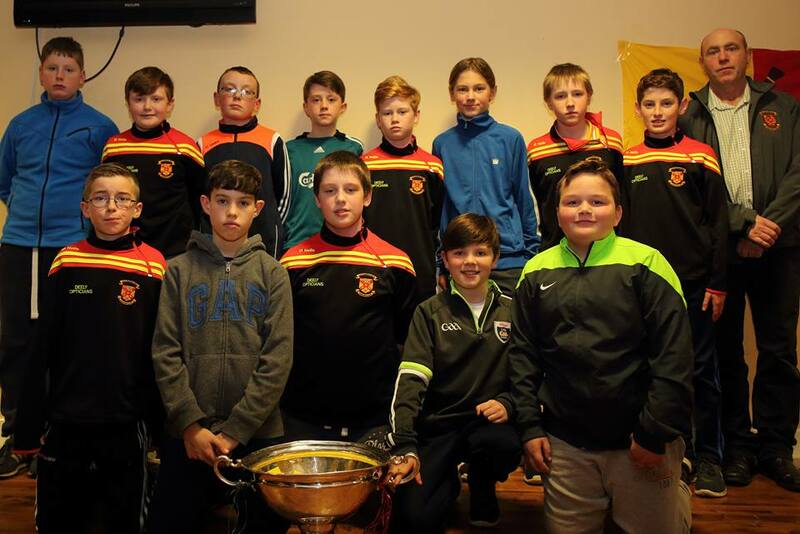 U13 county champions hurlers with coach Aiden O'Shea and the Nicky Rackard Cup at presentation night 2016. 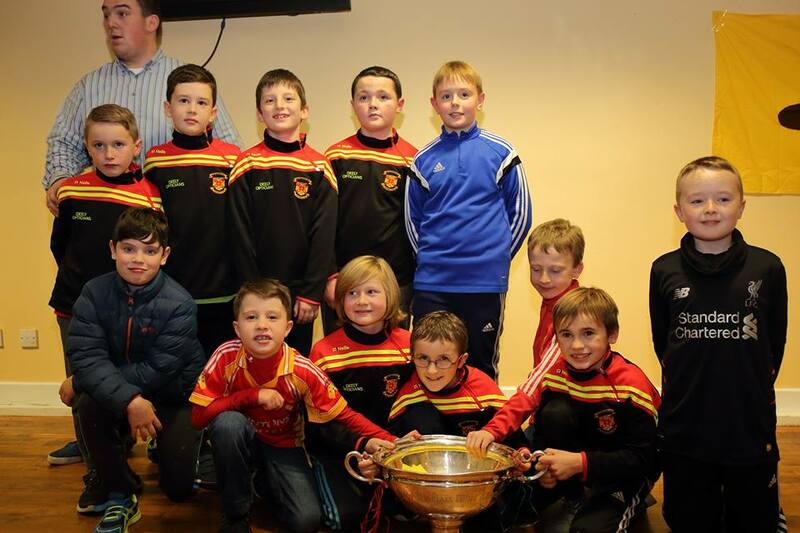 U10 hurlers with coach Kevin O'Boyle and the Nicky Rackard cup at presentation night 2016.